It?s finally here! One of Mike Seeds all-time favorite strains ever that he has been passionately growing over a decade. The real original Pre 98 Bubba Kush in stable female seed form. 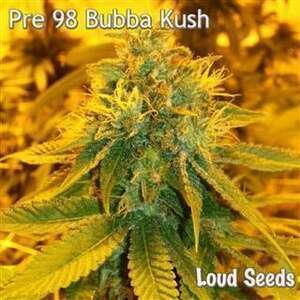 Loud Seeds got help from their friends at Humboldt Seed Organization on this one. The goal was preserving the original soapy kush notes while maintaining the strength and durability of the genetics.